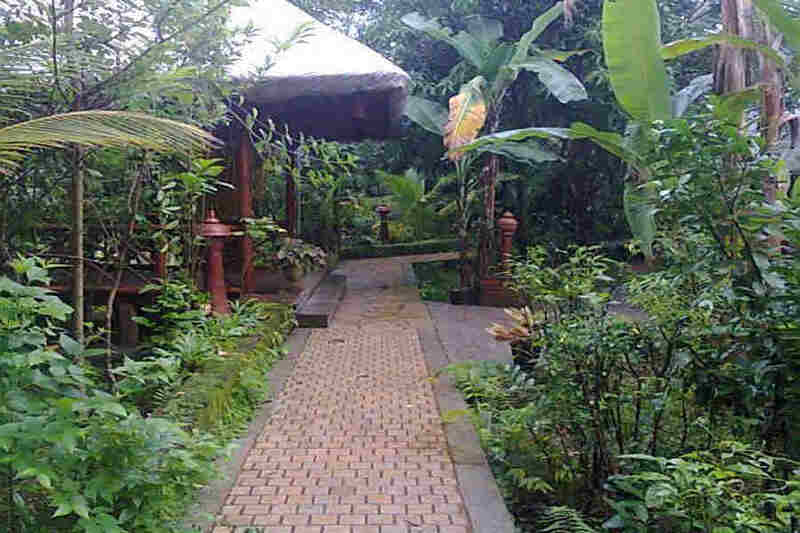 Use the form below to inquire about Serene Forest Resort And Spa Near Baindur . 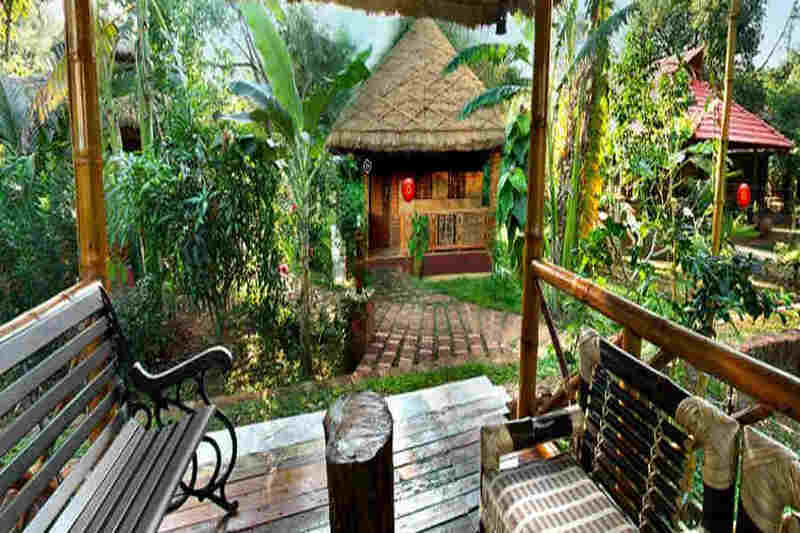 Use the form below to reserve for Serene Forest Resort And Spa Near Baindur . This villa has a spacious room with an attached verandah and a plunge pool in the backyard. 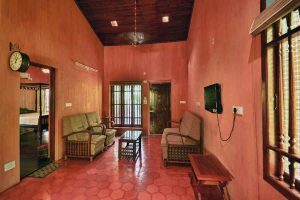 This villa has a spacious room with an attached verandah and a king size bed. This villa has 2 spacious rooms each with an attached verandah and a plunge pool in the backyard. 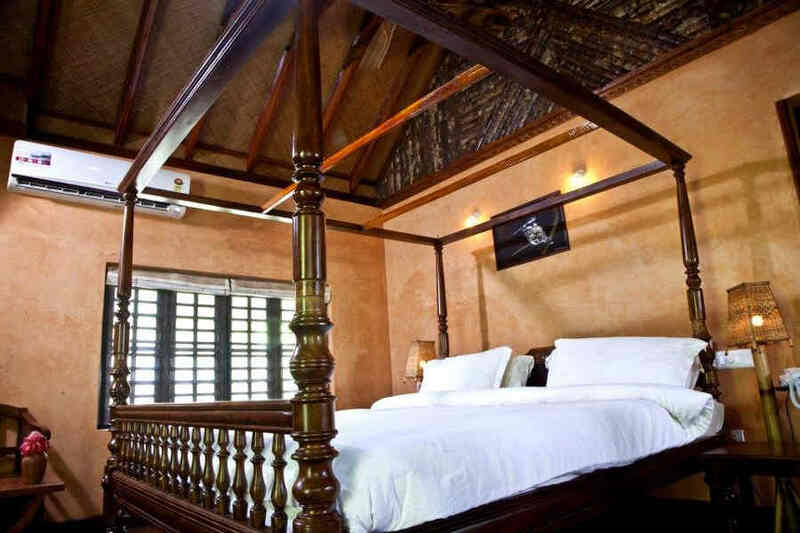 This villa has 2 spacious rooms each with an attached verandah and king size beds. This villa has 4spacious rooms with an attached verandahs, en-suite bathrooms, separate living room and king size beds. Swap the monotony of the concrete jungle with the blissful tranquility of the Serene Forest Resort and Spa Near Baindur. There are mountains and then there’s the sea. Coastal Karnataka enjoys the best of both the worlds. Udupi is sandwiched between the verdant valleys and lush mountains of the Western Ghats on one side and the Arabian Sea on the other. The beautiful coastline of the district, the rich cultural heritage and the mouthwatering cuisine of the region make it a great place for a relaxed holiday. 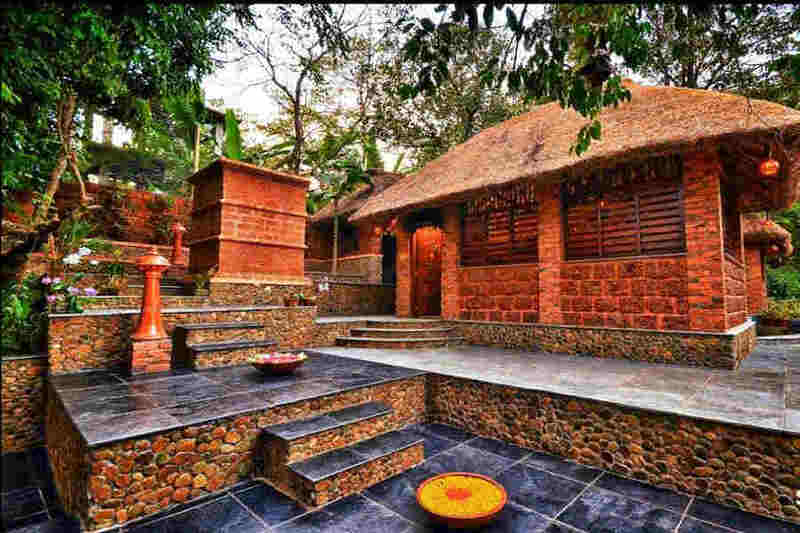 Adding to the tranquility quotient of Udupi is the Serene Forest Resort and Spa Near Baindur, a resort that will be your home away from home during your holidays. Located on a 22-acre property, the Serene Forest Resort and Spa Near Baindur has all the elements to take your holiday to the next level. From options to relax and rejuvenate your soul to activities to get your adrenaline pumping, it has it all. The dense evergreen forests around the resort will give you the experience of what it feels like to live amid nature. Even the resort’s construction blends seamlessly with its natural surroundings. 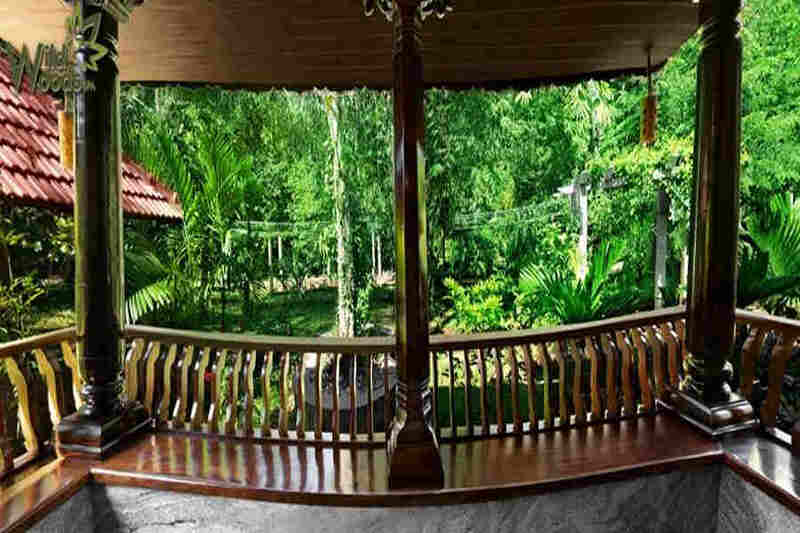 Made using natural, sustainable materials, the ethnic and rustic charm of the resort is unquestionable. The resort also offers an extravagant dining experience to its guests. The in-house multi-cuisine restaurant serves a wide variety of delectable dishes. Treat your taste buds to an array of vegetarian, non-vegetarian, Mediterranean, Oriental, Indian and local cuisines. The open restaurant affords panoramic views of the resort’s botanical garden. 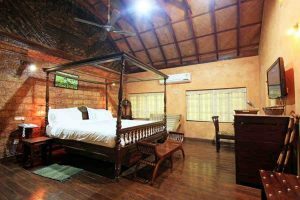 Accommodation options at the Serene Forest Resort and Spa Near Baindur include Luxury Villas, Stone Cottages, and Bamboo Cottages. The unique charm of the villas and cottages is evident from their exteriors and interiors. 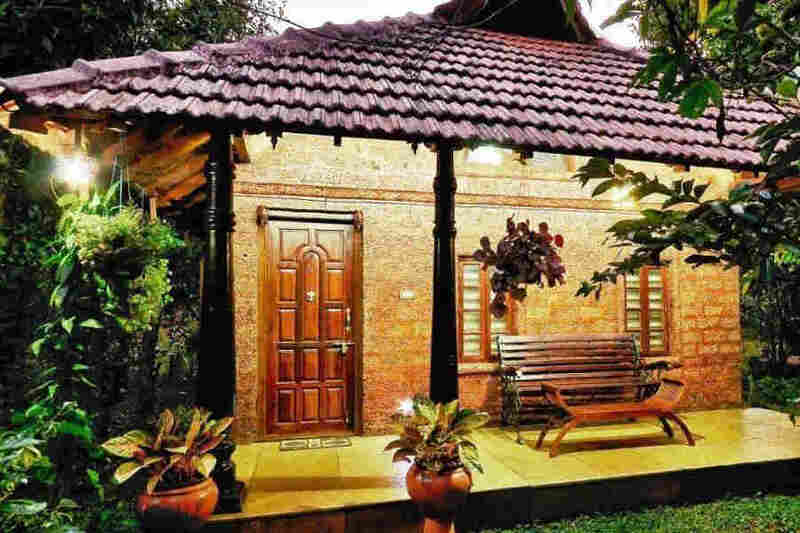 The Luxury Villas combine Kerala architecture and Portuguese stone designs. The Stone Cottages feature a rustic design with mud plastering and a thatched roof. The Bamboo Cottages bring the northeast to the south with their bamboo rafters and cane ceiling. All the rooms are tastefully done and equipped with modern amenities for maximum comfort. The resort’s accommodation is not only a treat to the eyes but an indulgence for the soul. Tariff per room/ villa / cottage per night. Check-in is 12:00 pm and Check-out is 10:00 am. (Early check ­in, subject to availability). All rates are based on availability and are subject to change without notice. Taxes extra @ 18 % i.e., (Goods and Service Tax). All rates will be charged in Indian Rupees. For pickup & drop arrangements – Should inform earlier at the time of reservations. All offers are extendable on pro‐rata basis. Non‐refundable up to 3 working days prior to check‐in date. 50 % refundable for cancellations made 4 to 7 days before check‐in date. 75 % refundable for cancellations made 8 to 14 days before check‐in date. 100 % refundable for cancellations made more than 15 days before check‐in date. A stay at the Serene Forest Resort and Spa Near Baindur is the perfect excuse to get the best of both the mountains and the sea. 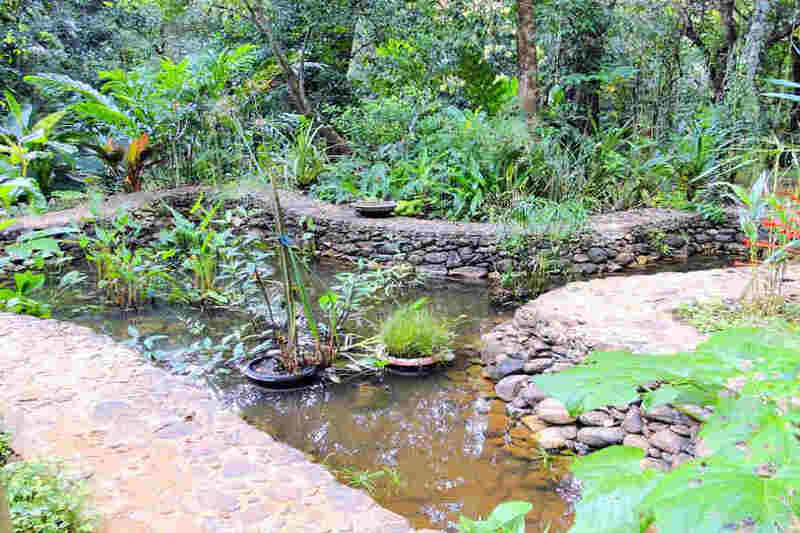 The resort offers an array of activities to let you explore the beauty of the forest-covered Western Ghats. You can go on nature walks in and around the property, which is an ecological marvel in itself. The rich flora and fauna of the resort and its surroundings will tug the strings of your heart. The region is also a bird watcher’s delight. Keep a lookout for the colorful residents of this area, including Asian fairy blue bird, giant squirrel, and hornbills. Adventure lovers can trek to the Kosalli Waterfalls, go kayaking in the Kosalli River or explore the surroundings on a bicycle. Fishing camps, swimming sessions and boat rides at the river can also be arranged on request. The resort has a swimming pool that’s an ideal place to relax and to burn the calories from the delicious food served at the resort. How about bouncing on the trampoline or experiencing the thrill of zorbing? The resort has those too. While you are at the resort, you can visit the attractions that Udupi is popular for. A trip to the popular beaches, including Maravanthe, Malpe, Someshwara and Murudeshwar can be arranged if you wish to visit them. 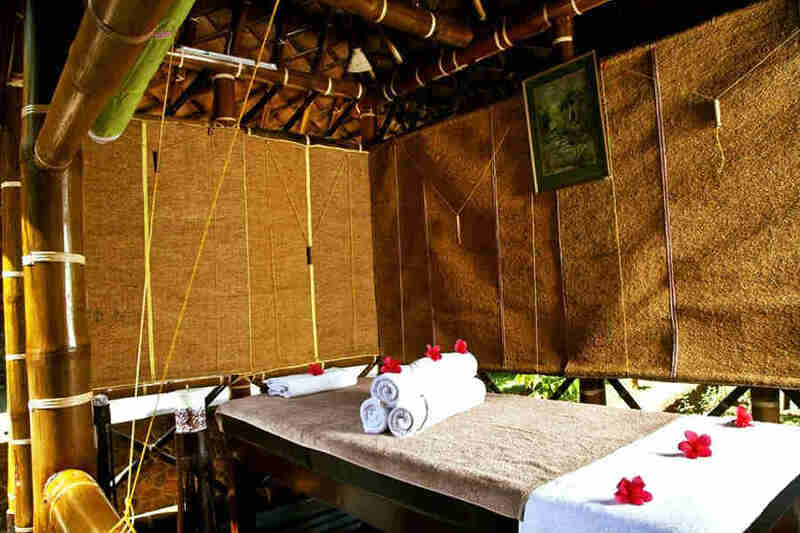 If rejuvenation is on your mind, head to the resort’s spa where you can choose from a range of Ayurveda massage treatments. 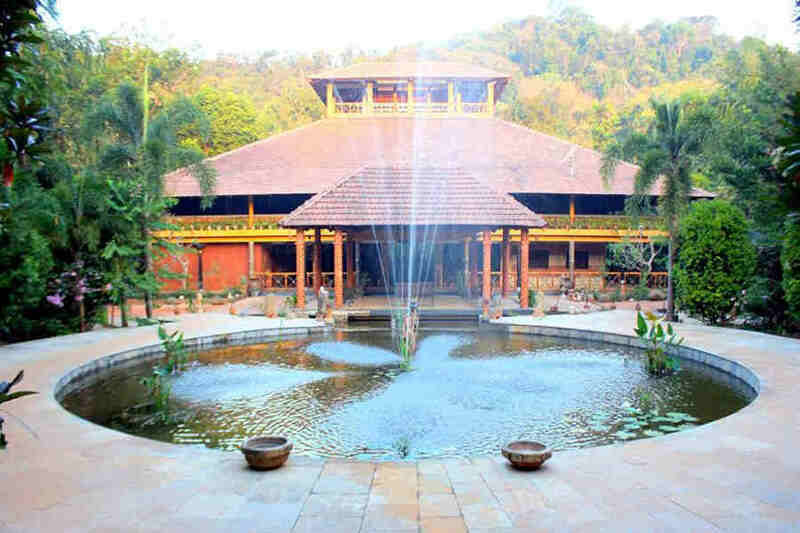 You can also learn yoga with melodious background music at the resort’s yoga center. The closest airports from the property are in Mangalore (141 km) and Calicut (390 km). 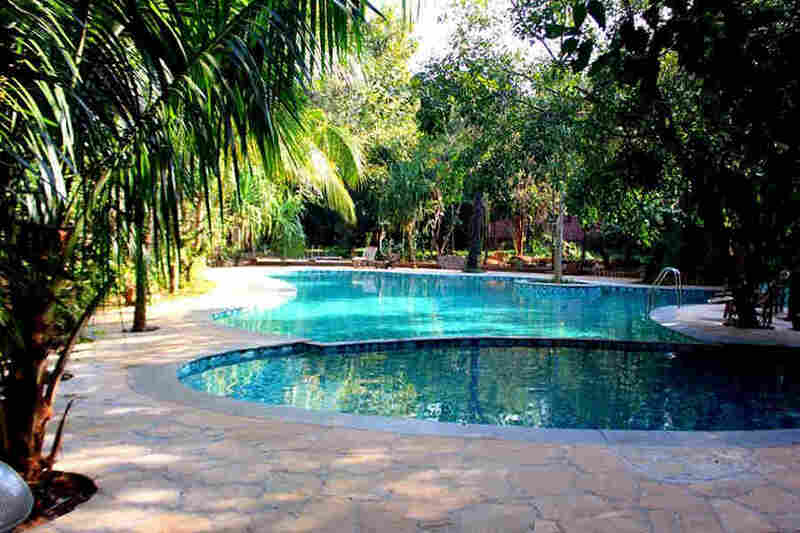 The resort is located 521 km away from the international airport in Bangalore. Udupi (85 km) and Mangalore Central (140 km) are the nearest railway stations from the resort. Many trains service this station. The railway station in Bangalore (498 km) offers great connectivity between Udupi and different parts of the country. A network of highways connect the resort in Udupi to neighboring cities, including Mangalore (138 km), Mysore (389 km), Bangalore (501 km), and Coimbatore (588 km), among other places.